Angelo surrounded by his siblings and parents. Surrounded by his mom, dad and two sisters, life growing up in San Jose, California, was pretty good for 5-year-old Angelo. Things took a turn Angelo’s parents never expected when he was diagnosed with acute lymphoblastic leukemia in 2015. The family jumped into action, but things have not been easy. Angelo’s spleen had to be removed before he could begin chemotherapy. His current treatment leaves him with severe coughing fits, weakness and pain due to nerve damage and migraines. Angelo’s family was living comfortably prior to his diagnosis. His mom was a nurse, and his dad was the manager of a landscaping company. Unfortunately, both parents became unemployed following Angelo’s diagnosis. This instant loss of income created a serious financial burden for the family. But the loss does not end there. The family’s van was repossessed, leaving them with only one car to rely on. The family also became at risk of having their phone service interrupted as they fell further and further behind on their phone bill. With no phone, how would they contact the hospital and doctors to coordinate Angelo’s treatment schedule? What would happen in the event of an emergency? To make matters worse, Angelo’s mom was diagnosed with cervical cancer. The family could not handle the financial distress of one cancer diagnosis, let alone two. 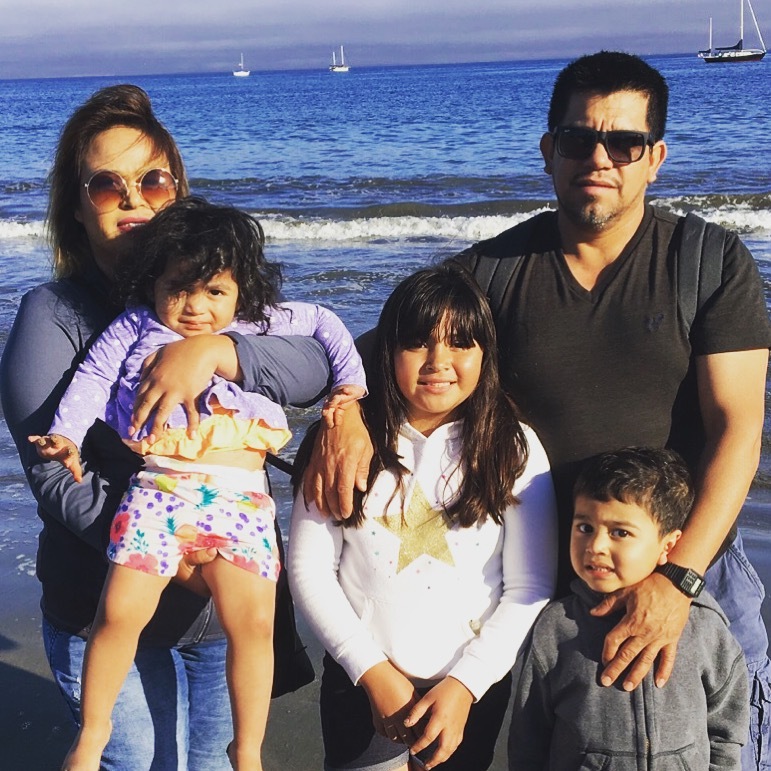 Thanks to our partnership with the AbbVie Foundation, Family Reach was able to provide Angelo’s family with a grant to cover their car payment and utility bill. This assistance lifted a heavy load off their shoulders and allowed them to focus on getting Angelo and his mom well. Thank you, AbbVie Foundation, for making a difference in the lives of our families every day. The work you do plays an essential part in getting them to the other side of cancer. Since 2014, they’ve worked with us tirelessly to bring awareness and solutions to a problem hidden in plain sight – the financial barriers many families fighting pediatric cancer face. AbbVie Foundation funding has provided over 10,000 individuals with support, allowing continued access to basic human necessities – food, shelter, clothing, transportation and more.